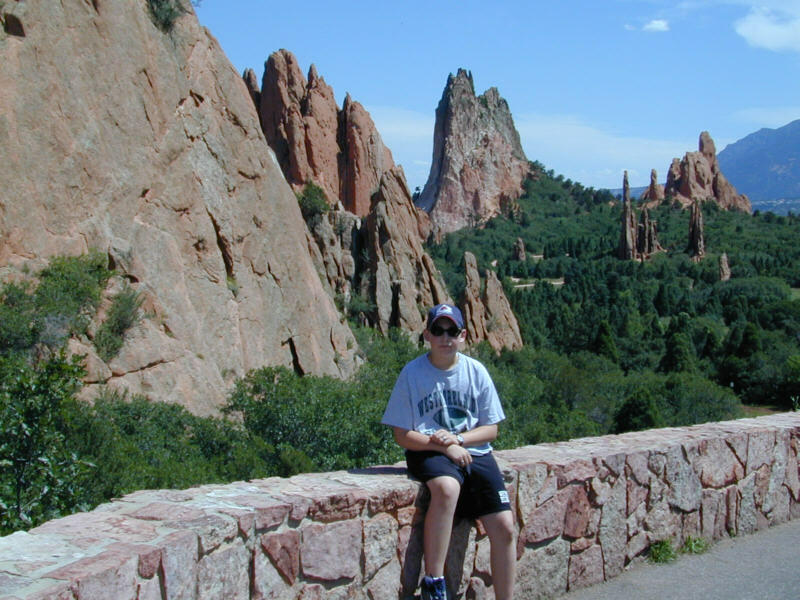 2000/7/13 - RJ on the rocks in Garden of the Gods. 2000/7/13 - RJ in Garden of the Gods with Cathedral Spire in the background. 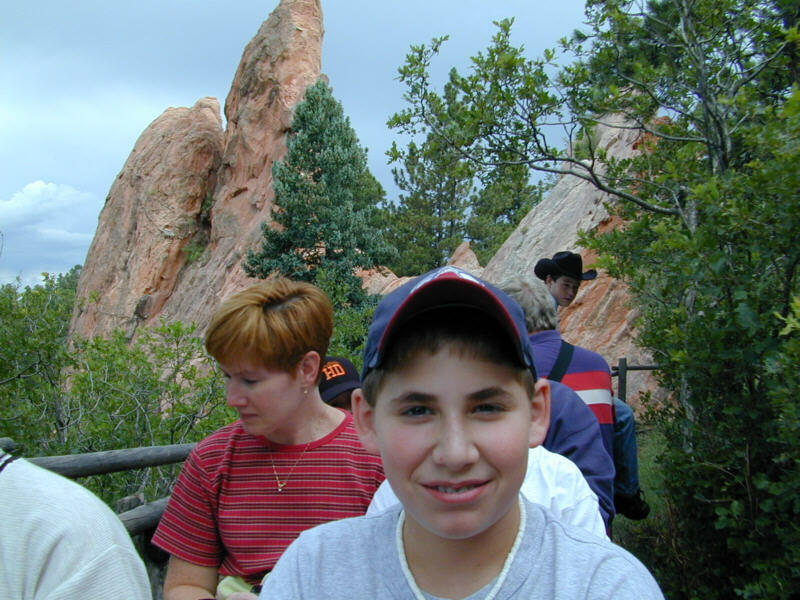 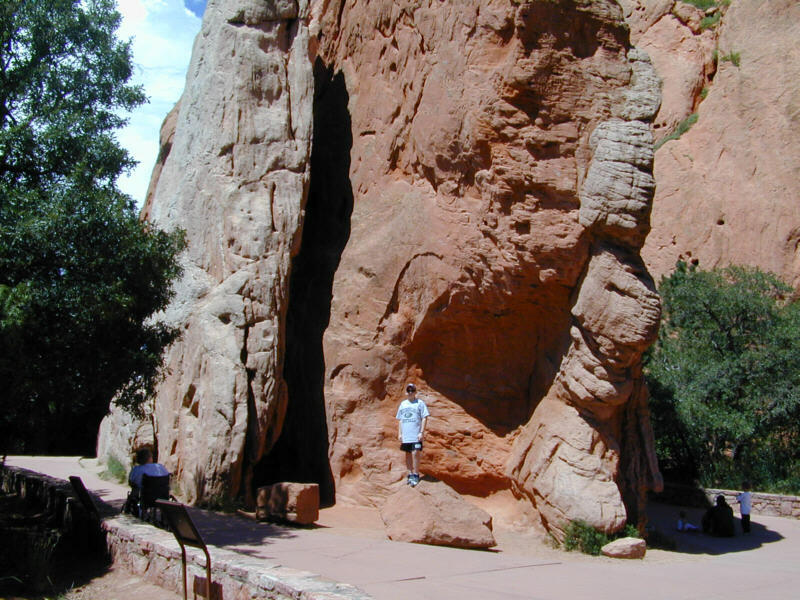 2000/7/13 - RJ in Garden of the Gods. We are looking south toward the City of Colorado Springs. 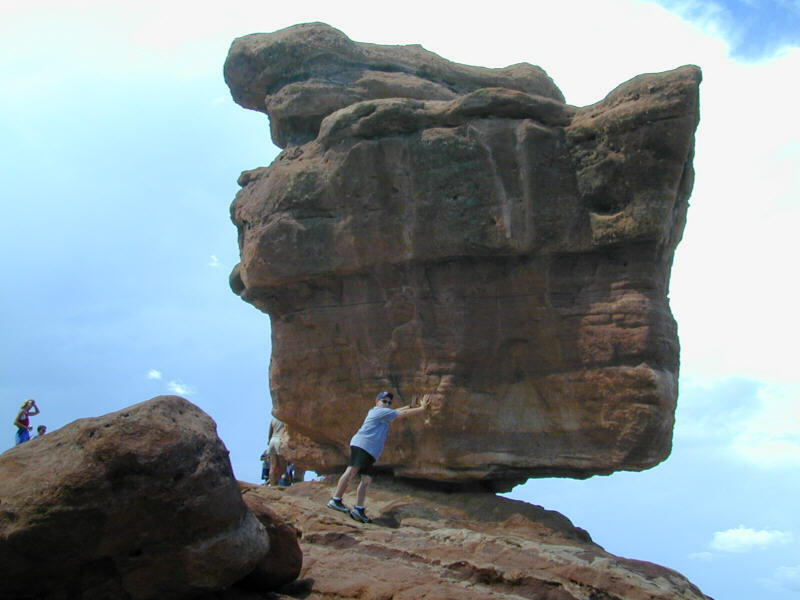 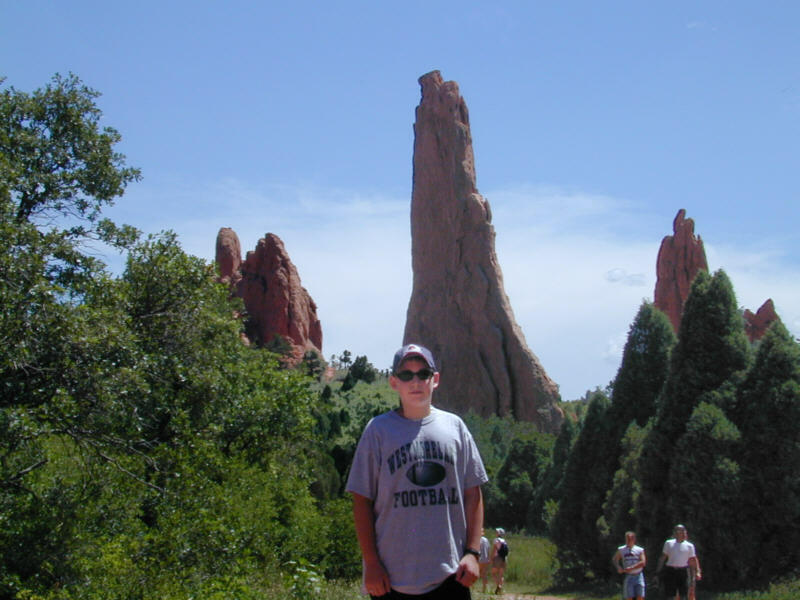 2000/7/13 - RJ in Garden of the Gods holding up Balanced Rock. 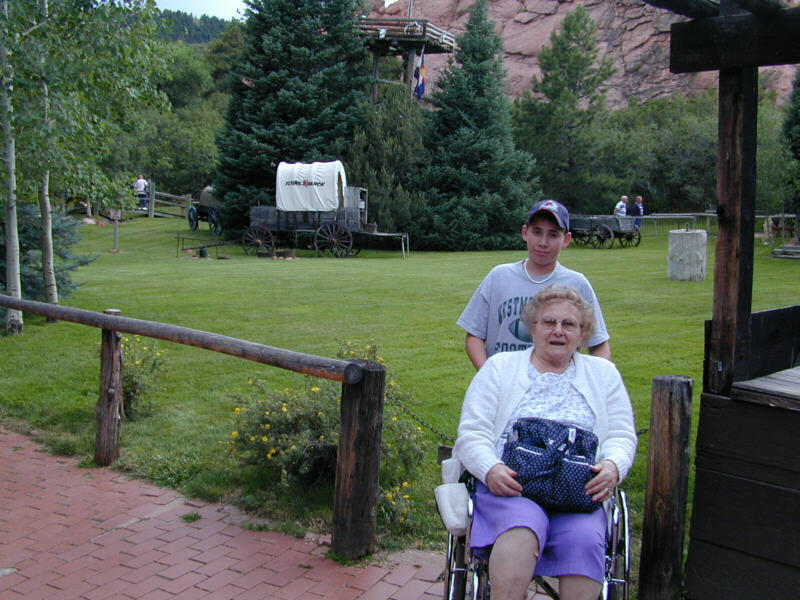 2000/7/13 - Grandma and RJ at The Flying W Ranch before our chuckwagon dinner and show. 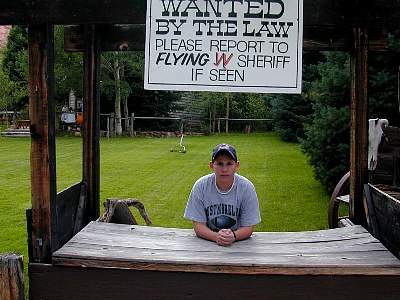 2000/7/13 - RJ, the most wanted desperado, at The Flying W Ranch before our chuckwagon dinner and show. 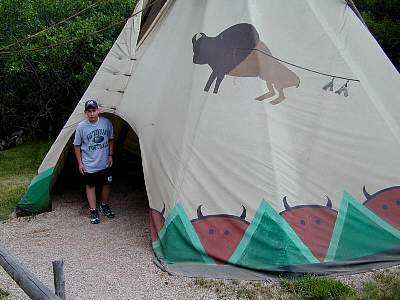 2000/7/13 - RJ in a teepee at The Flying W Ranch before our chuckwagon dinner and show. 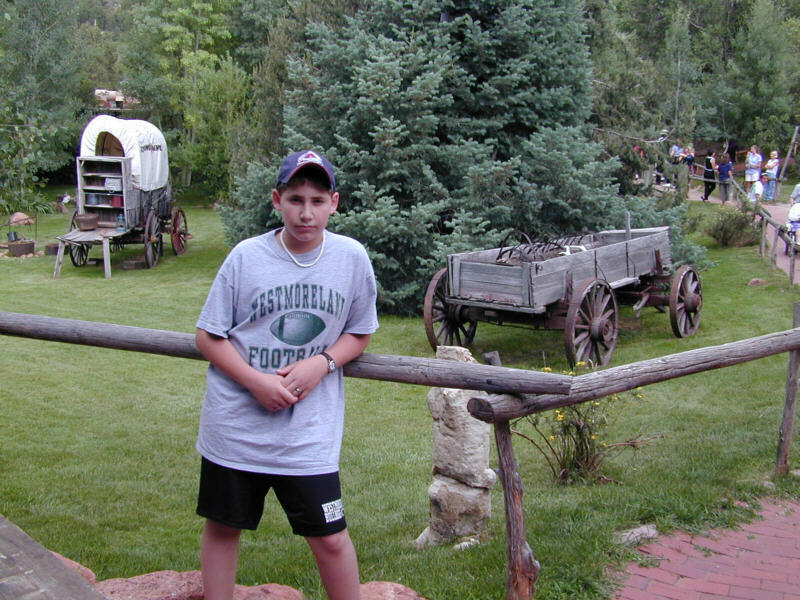 2000/7/13 - RJ at The Flying W Ranch with some real chuckwagons in the background. 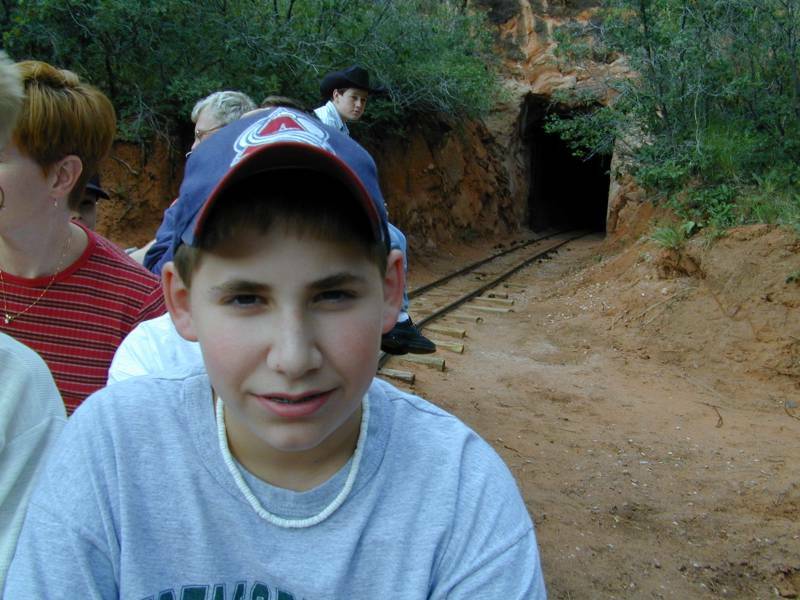 2000/7/13 - RJ at The Flying W Ranch riding the small mining train. 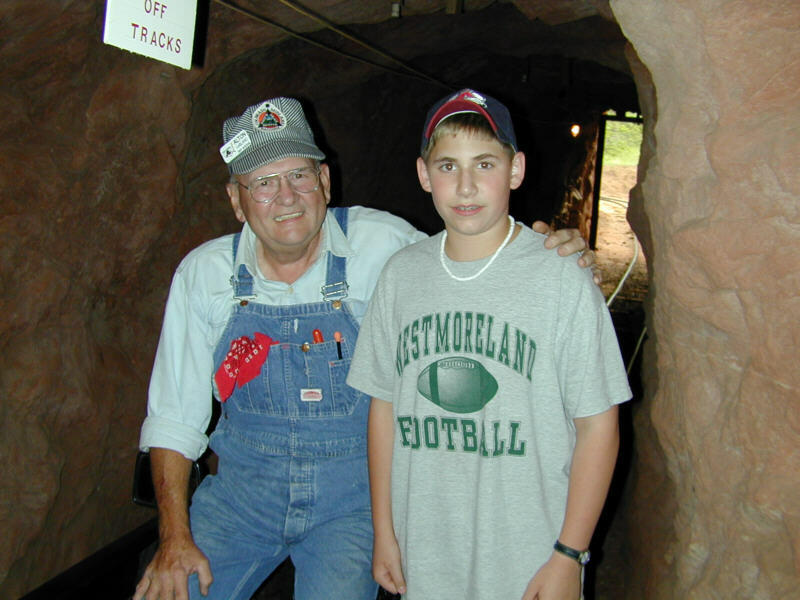 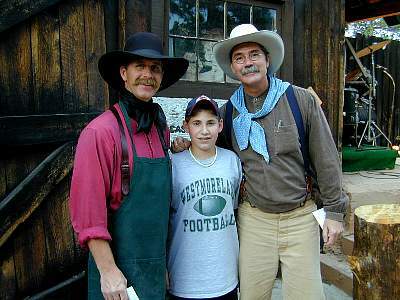 2000/7/13 - RJ at The Flying W Ranch with the engineer of the small mining train. 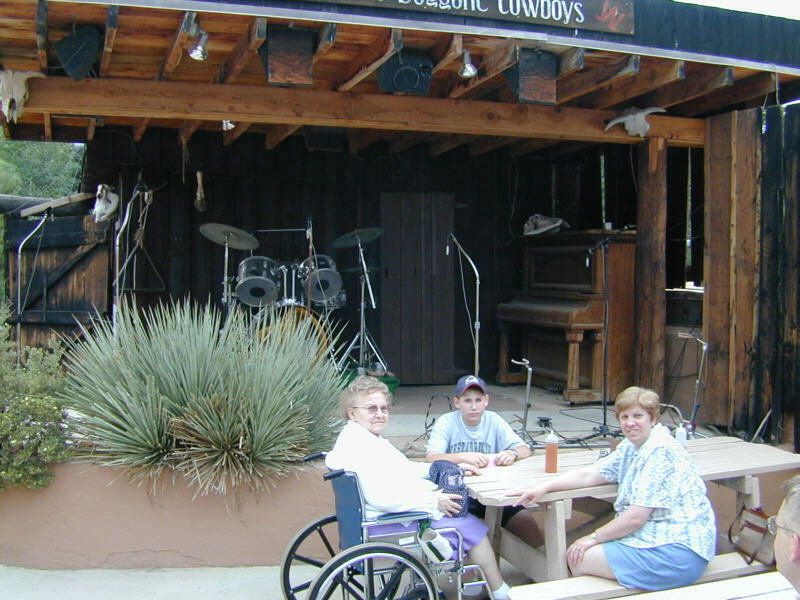 2000/7/13 - Grandma, RJ, and Mom at our dinner table right in front of the stage at The Flying W Ranch just before our chuckwagon dinner. 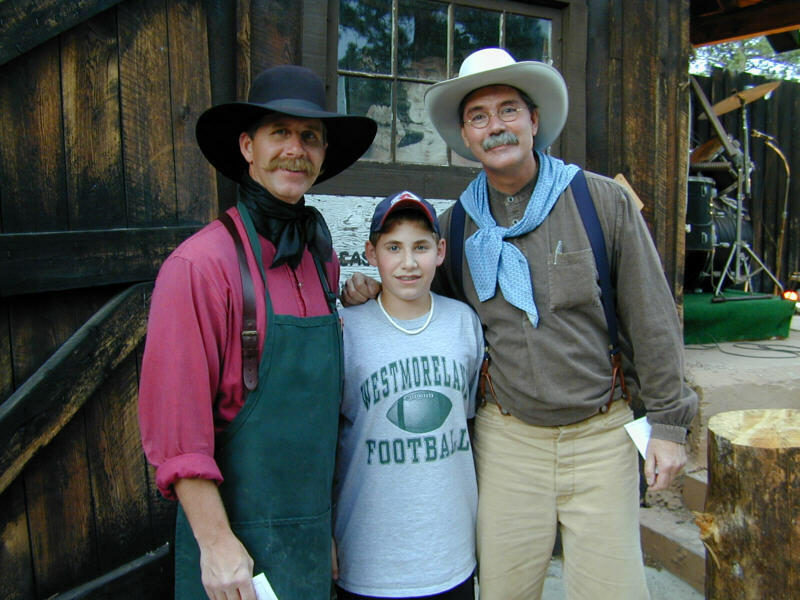 2000/7/13 - RJ at The Flying W Ranch with two of the Flying W Wranglers, Wesley and Scott. 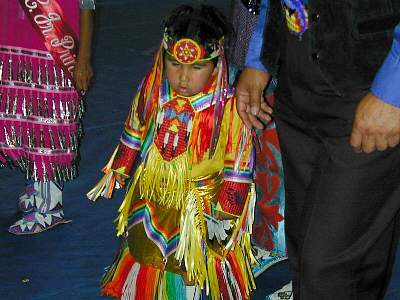 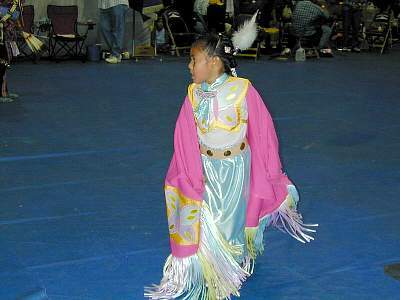 2000/7/15 - A little Native American girl dancer at the 30th Annual Lone Feather Council Pow Wow in the field house at Fort Carson in Colorado Springs. 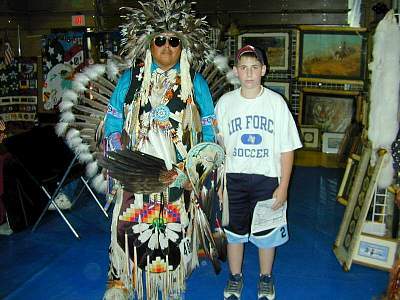 2000/7/15 - RJ with a Native American dancer at the 30th Annual Lone Feather Council Pow Wow in the field house at Fort Carson in Colorado Springs.